Sam Houston State University’s vibrant faculty is actively moving to the forefront of cyber forensics, security research, and education. 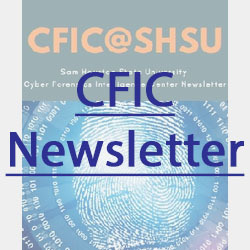 Sam Houston State University provides increasing opportunities to acquire cyber forensics and security knowledge and skill to ensure career success. The Cyber Forensics Intelligence Center works with industry and governmental partners to solve real-world cyber forensic and security research issues.